Now, there are dozens of celebrants available on the Brisbane marriage register. Of course everyone planning to marry is mostly concerned about wedding registrar fees. That’s because Brisbane wedding registrar costs can differ wildly. Usually, you’ll find registrar wedding fees range between five hundred, to several hundred dollars. You see any civil wedding registrar can charge what he or she likes. Even the marriage registrar (at Births, Deaths & Marriages in Brisbane) charges at least $344 for a basic wedding during business hours. Brisbane Marriage Registrar: Fortunately there is now Simple Weddings. 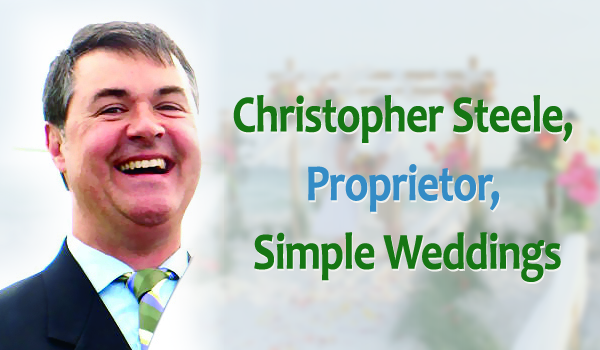 Registrar for wedding ‘Simple Weddings’, provides a legal, simple, marriage registrar office-style wedding that’s less than the government’s cost of registrar for wedding. As mentioned, cost of registrar wedding at Births, Deaths & Marriages is at least $344 and that’s for a business-hours wedding at their office. Their Friday weddings are a lot more! On the other hand, registrar marriage fees for a business-hours wedding at Simple Weddings’ Brisbane venue, The “Hi Surf Resort” is only $199.